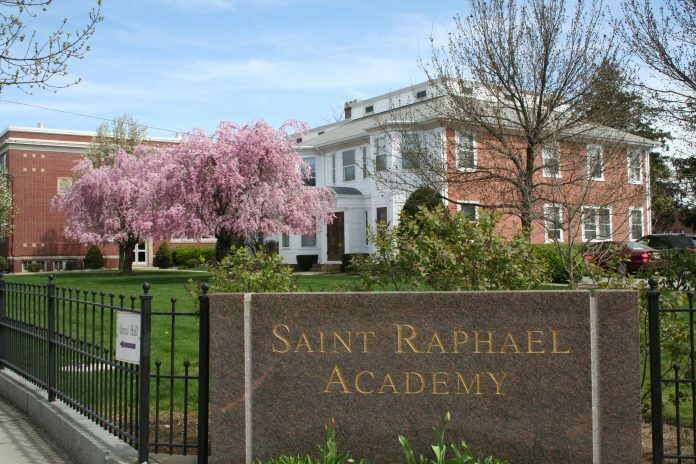 PAWTUCKET – St. Raphael Academy will become the first high school in Rhode Island to be recognized as a “STEAM academy” by Roger Williams University after St. Raphael completed extensive training through RWU’s Center for Workforce & Professional Development. RWU will formally recognize St. Raphael as a STEAM academy during a ceremony on May 6 at the parochial high school in Pawtucket. STEAM is an initiative that incorporates the arts into a science, technology, engineering and mathematics curriculum. The STEAM concept has gained momentum in recent years in an effort to boost student achievement in the STEM subjects through greater use of creative and higher-order thinking activities. St. Raphael is the third Rhode Island school to get recognition as a STEAM academy through the RWU program. St. Thomas Regional School in Providence and All Saints Academy in Middletown have previously been deemed STEAM academies by RWU. St. Raphael embarked on the STEAM academy process three years ago, aiming to incorporate 21st-century learning skills into its curriculum and instruction, said Judy Baxter, vice principal of academics at St. Raphael. The school had many hours of professional development that included blended-learning teaching strategies. Teachers were encouraged to take risks to imbed aspects of science, technology, engineering and math exploration with the arts, and all of the school’s teachers were involved in the endeavor, Baxter said.